Vampires are mythological or folkloric creatures, typically held to be the re-animated corpses of human beings and said to subsist on human and/or animal blood (hematophagy). They are also the frequent subject of cinema and fiction, albeit fictional vampires have acquired a set of traits distinct from those of folkloric vampires . 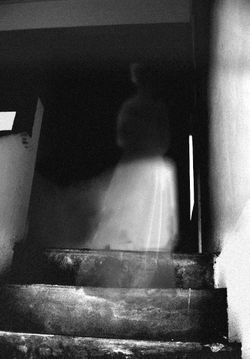 In folklore, the term usually refers to the blood-sucking undead of Eastern European legends, but it is often extended to cover similar legendary creatures in other regions and cultures. Vampire characteristics vary widely between different traditions. Some cultures have stories of non-human vampires, such as animals like bats, dogs, and spiders. 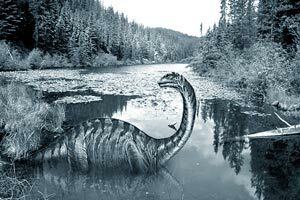 Rumors of a strange giant creature living in Lake Brosno have existed for several centuries already. One of the legends says that the lake monster scared to death the Tatar-Mongol army that headed for Novgorod in the 13th century. The Brosno dragon or Brosnya is a creature believed to be living in Lake Brosno which is situated in the European part of Russia, in the Tver region, near the town of Andreapol. There have been many reports of a 'lake serpent' or 'Dragon' living in the lake. Many people think this creature is similar to Nessie. It is a deep lake with a maximum depth, as discovered by sonar, of 43 meters. Kraken are legendary sea monsters of gargantuan size, said to have dwelled off the coasts of Norway and Iceland. 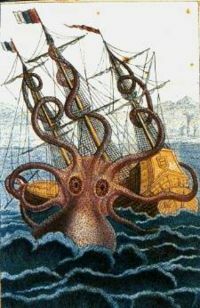 The sheer size and fearsome appearance attributed to the beasts have made them common ocean-dwelling monsters in various fictional works (see Kraken in popular culture). The legend may actually may have originated from sightings of real giant squids that are estimated to grow to over 50 feet in length, including the tentacles. These creatures live at great depths, but will surface to hunt prey and reportedly have attacked small ships. Kraken is the definite article form of krake, a Norwegian word designating an unhealthy animal, or something twisted. Crop circles are areas of cereal or similar crops that have been systematically flattened to form various geometric patterns. The phenomenon itself only entered the public imagination in its current form after the notable appearances in England in the late 1970s. Various scientific and pseudo-scientific explanations were put forward to explain the phenomenon, which soon spread around the world. 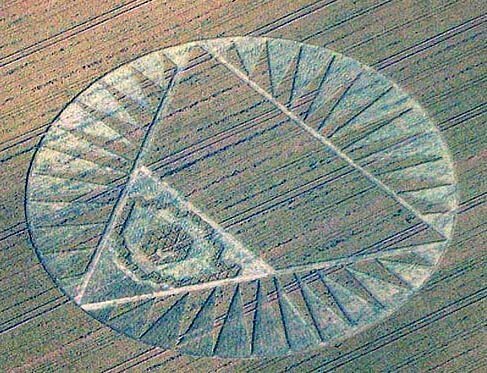 In 1991, two men, Doug Bower and Dave Chorley, revealed that they had been making crop circles in England since 1978 using planks, rope, hats and wire as their only tools. Circlemakers.org  a UK based arts collective founded by John Lundberg have been creating crop circles since the early 1990s. Although the commonly accepted view today is that crop circles are a man-made phenomenon, paranormal explanations, often including UFOs, are still popular. In paranormal circles the study of the crop circle phenomena is called cerealogy. Cerealogists commonly refer to these designs as agriglyphs. A UFO or Unidentified Flying Object is any real or apparent flying object which cannot be identified by the observer and which remains unidentified after investigation. 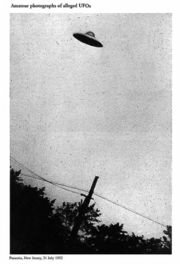 Sightings of unusual aerial phenomena date back to ancient times, but reports of UFO sightings only became fashionable after the first widely publicized U.S. sighting in 1947. 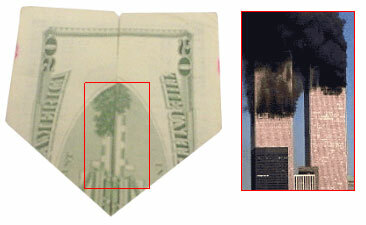 Many thousands of such claimed observations have since been reported worldwide. A more modern take is the U.O.O., or Unidentified Orbiting Object, which would describe an unknown article in orbit, such as the debris in the Atlantis Landing delay of September 21, 2006. Bigfoot, also known as Sasquatch, is believed by some to be an ape-like cryptid and by others to be only the product of imagination. Bigfoot is sometimes described as a large, bipedal hairy hominoid creature living in remote forested wilderness areas of the United States and of Canada, specifically those in south western Canada, the Great Lakes, the Pacific Northwest, the Rocky Mountains, the forests of the U.S. Northeast, and the U.S. Southern states. Some think that a Bigfoot, or its close relatives, may be found around the world under different regional names, such as the Yeti. Sightings have allegedly occurred in Malaysia, China, Russia, Australia, South America. The majority of scientists reject the likelyhood of such a creature's existence, and consider the stories of Bigfoot to be a combination of unsubstantiated folklore and hoax. 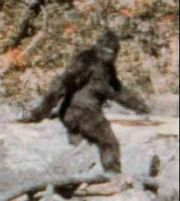 No Bigfoot bones or bodies have ever been found, but there have been claims that tracks have been found over the years. The chupacabra is a cryptid said to inhabit parts of the Americas. It is associated particularly with Puerto Rico , Mexico, Chile, Brazil and the United States, especially in the latter's Latin American communities and Maine. The name translates literally from the Spanish as "goat-sucker". It comes from the creature's reported habit of attacking and drinking the blood of livestock. Physical descriptions of the creature vary. Sightings began in Puerto Rico in the early 1990s, and have since been reported as far north as Maine, and as far south as Chile. Though some argue that the chupacabras may be real creatures, mainstream scientists and experts generally contend that the chupacabra is a legendary creature, or a type of urban legend. National Geographic did a report on the existance of Chupacabras. They found a supposed chupacabra skeleton on a local farm ground. 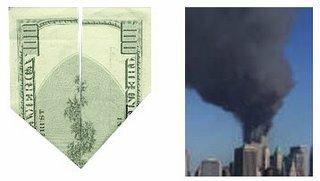 You can fold U.S. paper dollars and see the Twin Towers on fire, The Pentagon, you can even find Osama if you fold the bill correctly. 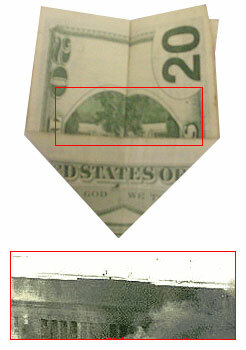 This is authentic not photoshop ,if you have some dollars try it yourself.